This past weekend was the PMRA season opener and the first race in 10 months for Elyse and the McKinnon Motorsports team. Prior to this weekend Elyse had only made two test passes. 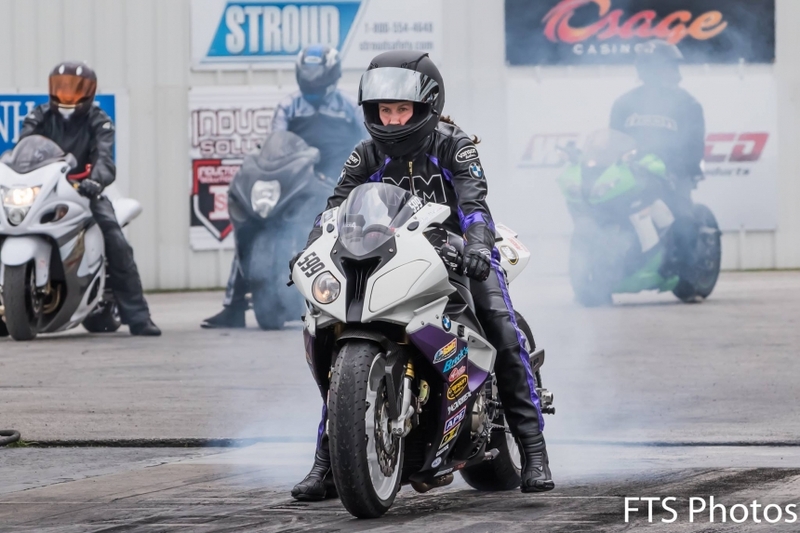 Elyse entered in three classes: Street ET on Engle Motors’ gray S 1000 RR, then Pro ET and Super Comp on the McKinnon Motorsports white & purple S 1000 RR. 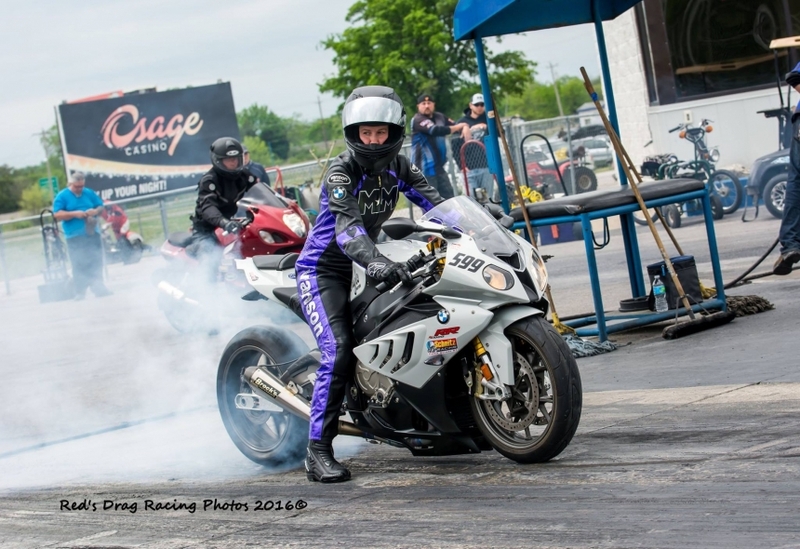 Elyse made consistent passes in Street ET time trials and then broke out in the first round of eliminations; the heat of the competition really sped her up! 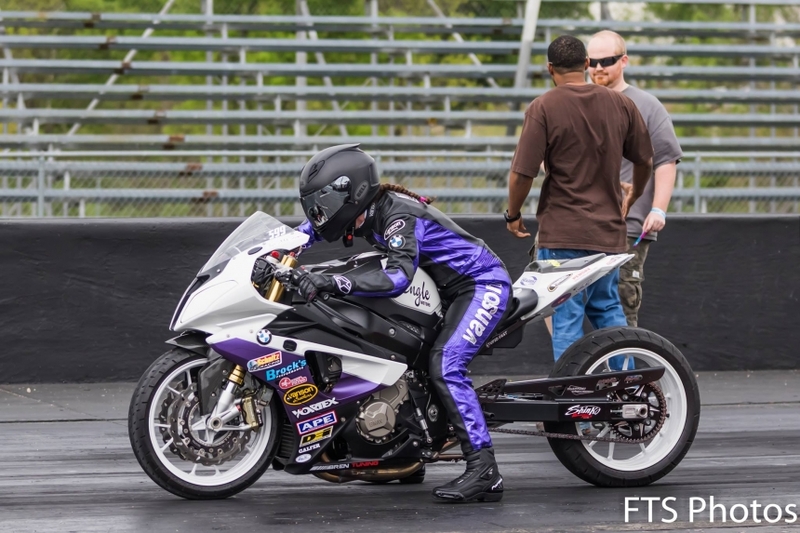 In Pro ET she went a couple rounds, losing to the eventual winner Brian Wood by 0.006 seconds. Brian was on his game as always; a big congrats to the Wood Racing team! In Super Comp Elyse went several rounds and made it to the semifinals! Overall it was a very successful opening weekend for the team.